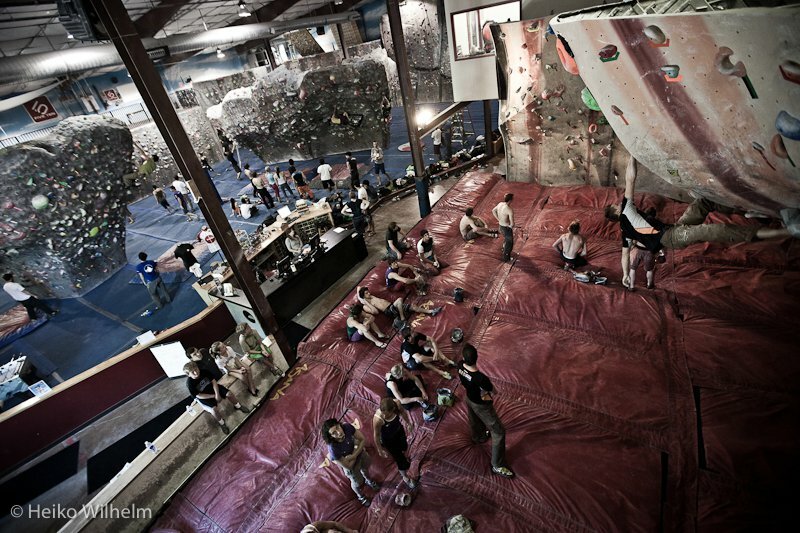 The Spot is pretty much one of the coolest climbing gyms in the world. It’s really big, with two huge free-standing boulders (the Font and the Hueco), a long back wall of varying steepness (the River Granite), a huge two part convex/concave cave with an intimidating headwall (the Dojo), the Battle in the Bubble competition wall (the Beach) and an eight-rope toprope wall for warming-up, traversing, parties, clinics, and lessons (the Yosemite). 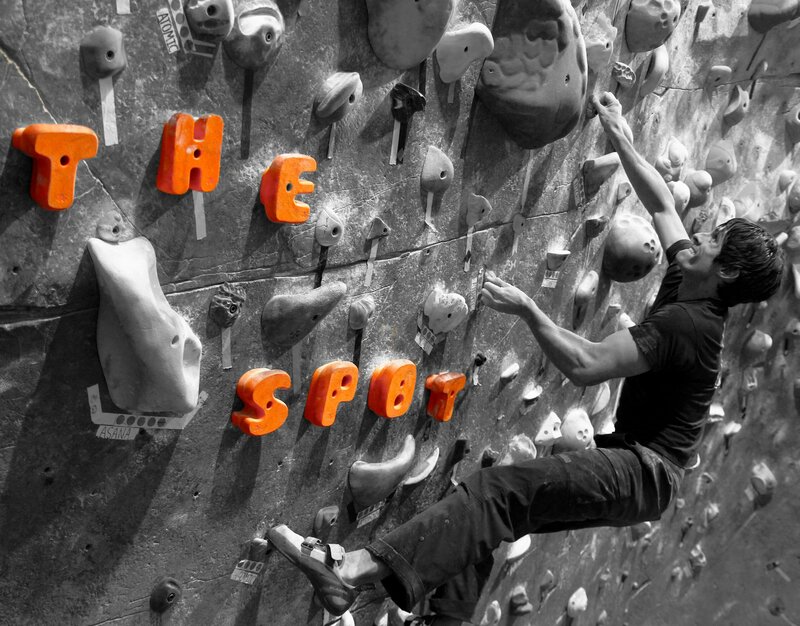 The Spot has held many huge competitions, beginning with the national level Professional Climbers Association (PCA) comps and the Spot’s own Psychedelia (the original black light costume comp) and continuing with several American Bouldering Series (ABS) Nationals and the annual Spot Bouldering Series (SBS), a redpoint style themed competition series with four comps–The Gun Show (pull-up contest and dunk tank), Psychedelia (the original blacklight costume event! ), Highballs and Highlines (watch pro slackliners trick out on a highline between the Font and Hueco boulders) and Gladiator Finals (jousting! 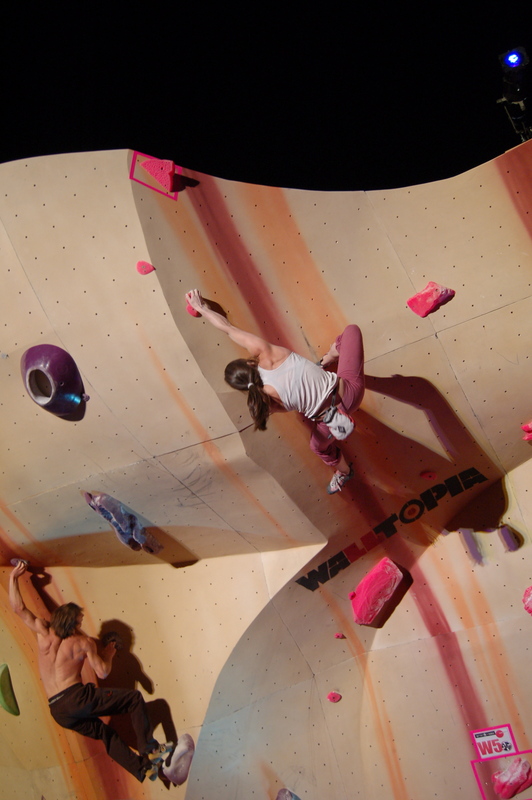 )–all with food, beer, music, a huge raffle and a cash purse pro finals that has been won by some of the best climbers in the world including Daniel Woods and Alex Puccio. 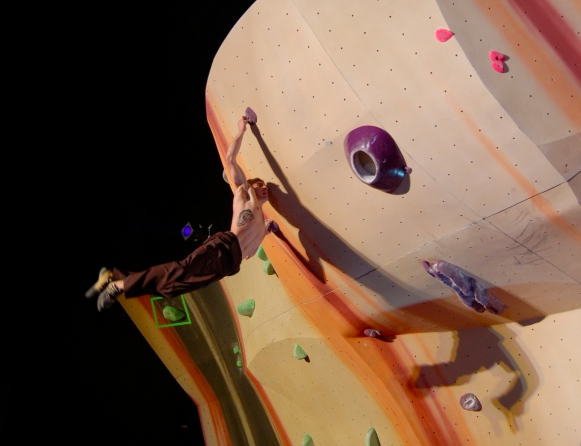 We are proud that the Spot Bouldering Series is now entering it’s 9th year! Special Event :: On May 14-15 of 2010 The Spot held The Battle in The Bubble, a huge pro-am competition that took place in the Spot and on a specially built Waltopia wall on the shores of the Boulder Reservoir. After the event, the wall was moved into it’s new home in the Spot! 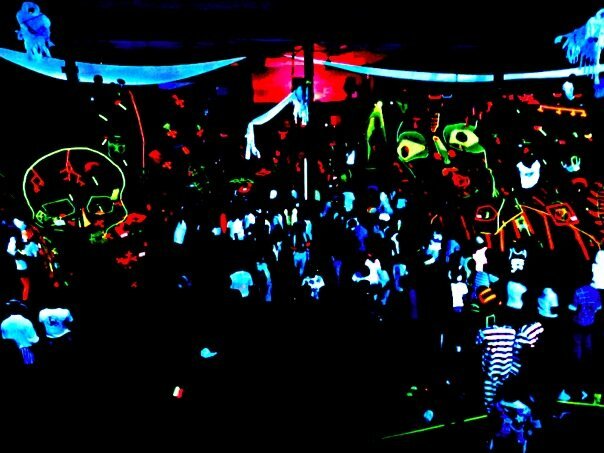 We call it The Beach, it’s 19 feet tall, and it has more climbing area than the Dojo! For more info on The Battle in The Bubble, check the links in the sidebar to the right. Occasionally there are additional or early closures for competitions, staff trainings, clinics, or special events. Such closures will be noted in our email newsletter and at www.thespotgym.com and will be posted in the gym. If you are a Spot member we will usually provide you an alternate place to climb during our additional closures (not holidays though, cause they’re holidays for everyone!). Also, Spot members get two free trade days a month–one at The Boulder Rock Club (2nd Friday) and one at Rock ‘n Jam ‘n (3rd Friday). For these and other helpful updates, please subscribe yourself to our newsletter (just send an email to marketing@thespotgym.com), or ask at the desk.